Back to Football: The Panthers had two days off after a disappointing loss at Philadelphia (14-9). On Saturday, competition was still in the air, as players hit the bowling ally. A.J. Klein, Brandon Williams, Mike Tolbert, Josh Norman and others took to the lanes, a surprise trip offered by Coach Ron Rivera. Dwan Edwards showed that he could put up big numbers, knocking down the pins. The Panthers resumed practice on Sunday afternoon. The Panthers are looking to come out and perform better at Baltimore; adding another tally in the ‘Win’ column in the preseason. In order to do this, significant improvements must be shown— attention to detail and overall discipline of the players, which Rivera is trying to implement. 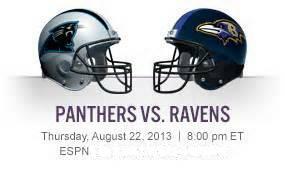 It’s a big game for the Panthers, showcasing their talent and readiness for the season on the big screen-ESPN. The Panthers are looking for guys who will solidify a roster spot. “Were going to carry those guys well into the second half to find out” says, Coach Rivera. Gettleman saw “great competitiveness” in last week’s preseason game.” “We hope to continue” “to make progress” and be more consistent. Rivera is looking for TD’s. “I want to see us put the ball in the end zone,” says Rivera. “We’ve got to put seven on the board not three.” “We just have to go out there and do it.” Some of the guys are missing valuable playing opportunities guys like Domenik Hixon—who like Edwards is trying to get back into the competition. Hixon says he “feels good running around.” “Every time I get an opportunity” I want to “play well.” Both Hixon and Edwards will not play on Thursday. Armanti Edwards is hoping to play next week versus the Steelers, via Joe Person, Charlotte Observer. Facts are facts and Cam doesn’t have a lot of wins in the win column. As the mass media watched Newton they began to view him as a sore looser on the national stage. Now is the time to prove the ‘nay-sayers’ wrong. Cam appears to have taken charge and has grown leaps and bounds in his maturity and leadership. Cam must stay focused and his promise of “doing better” must be lived up to. The “bread and butter plays of the offense” must be executed. The drives cannot continue to “stall out.” In order to have success, the Panthers offense must be able to fool the Baltimore’s defense. Coach John Harbaugh says ILB Daryl Smith has already become the Ravens “quarterback of the defense.” Cam must be able to fool Smith, the guy who is expected to fill Ray Lewis’ shoes, in order to sustain drives. –Fool the play caller on defense. In order to fool the play caller, play calling needs to be balanced. One way is to establish the running game with the plethora of talent that Carolina has in its backfield. 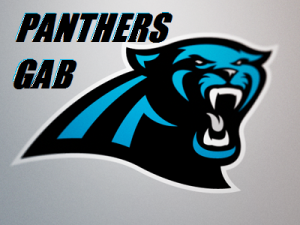 The Panthers can have a chance to get better with their run scheme and gain some good numbers on the ground against The Raven’s struggling run defense. The Ravens young defense tends to overrun plays, running 100mph, instead of running to the ball. The coaching staff doesn’t want to be “foolish” with an early Beason return. But Beason looked like he was running and moving well during practice. 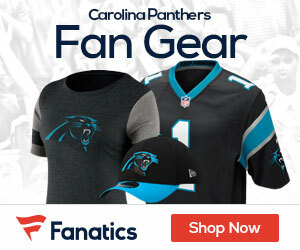 It is uncertain whether or not Beason will play in Thursday night’s game. With this likely being Beason’s last season, I hope the guy can play hard and stay healthy for us. Defense must learn to stick with the plays and fight through the “growing pains.” Last week’s battle against the Eagles, was a great test and opportunity for the defense to work on “getting their legs back.” For guys like Star Lotulelei and Short, it allows them to gain more reps and experience the transition from college to the NFL. Star admittedly told Joseph Person from the Charlotte Observer, that he “got tired.” Star knows that he has “got to fight through it.” The preseason allows the coaches to see the progression of their “star” players and work on the necessary corrections and improvements before the season. The defensive front four needs to assert their selves filling up their gap assignments and expose the Ravens inability to run the ball effectively. Ray Rice was held to 10 yards on 8 carries, last week against the Falcons. The Ravens were “sporadic” last week. They will be looking to be more effective in their third preseason game. The Secondary must work hard to stay on their coverage and not get fooled. Joe Flacco is throwing the ball efficiently. Flacco is 14/18 with 175 passing yards and 1 TD in the first two preseason games. Flacco has also thrown 2 INT’s. Josh Thomas had a great night against the Eagles and Josh Norman continues to make big plays. WR Torrey Smith has speed and can get past defenders easily if allowed. WR Aaron Mellette also was able to make a TD grab against the Falcons. A couple of other WR’s that could have success is Marlon Brown, Brandon Stokley, and TE Dallas Clark. They have a versatile offense and can stretch the field. Good news—Ted Ginn Jr. will be returning kicks. Kenjon Barner will also have a shot. Gano is having a terrific camp and continues to perform well.